As mentioned under Safety, the resistance to serious impact loading is unmatched. But besides extreme drop height it is also worthwhile to have a look at smaller but repeated impact loading, as in real life. Cylinders are transported around during which they will encounter small but repeated impact loading. And during transportation the cylinders are not handled with care all the time. Where other composite solutions start “cracking” the LoW8 cylinders show no damage. because there is no damage! It’s due to the extreme flexibility of the cylinder. The flexibility and durability of the LoW8 cylinder, in respect to small and repeated impact, could be compared with a car tire. 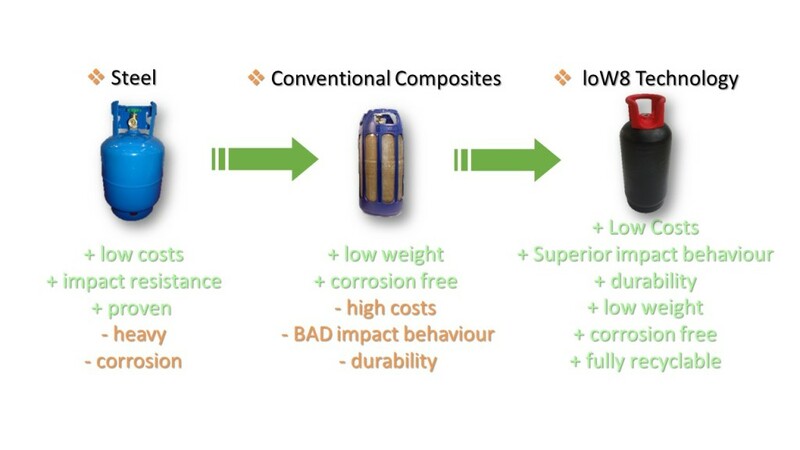 Where other composite solutions show limited life in practice the LoW8 just goes on and on and on. And compared to steel cylinders: the LoW8 cylinders do not dent. And that means: no maintenance, no premature retesting, no rejection. And last but not least: they look like new, also after many years of (ab)use. Cylinders are having an indoor as well as outdoor life; exposed to harsh conditions, temperature fluctuations from -40ºC to +70ºC, salty conditions, exposure to sun light and humidity. Where steel starts corroding the moment it leaves the factory (despite all coatings) the LoW8 just does not corrode. Nor will long time UV exposure do any harm to it. The LoW8 is insensitive to temperature fluctuations, due to the right choice of materials. 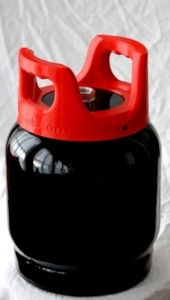 Like all other pressurized cylinders, the weakest link will be the connection of the valve to the cylinder. The LoW8 features a Torque Free™ End Boss. Which simply means that torque application is mechanically limited, thus damaging the cylinder-valve interface is out of the question.